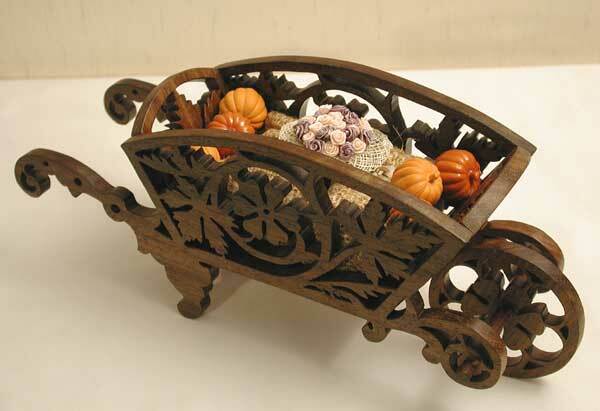 Victorian flower cross made from Black Walnut. 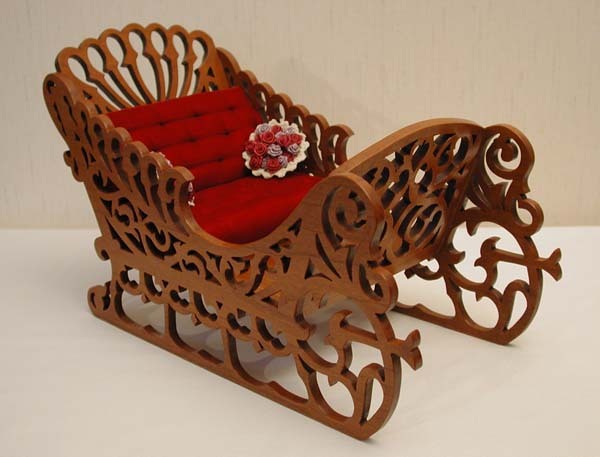 Sleigh made from Cherry with a red velvet seat. 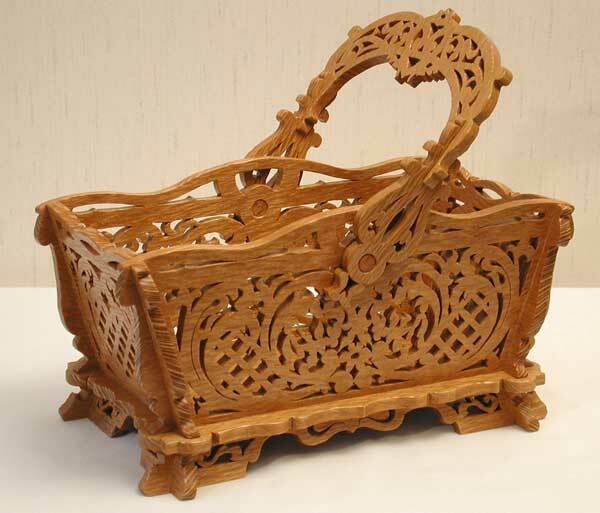 1880's basket pattern made from Lacewood. 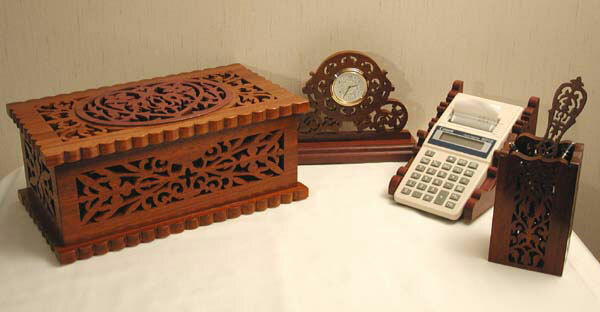 Desk set is made from Padauk and Purpleheart. Pencil holders made from White Oak, Padauk and Black Walnut. 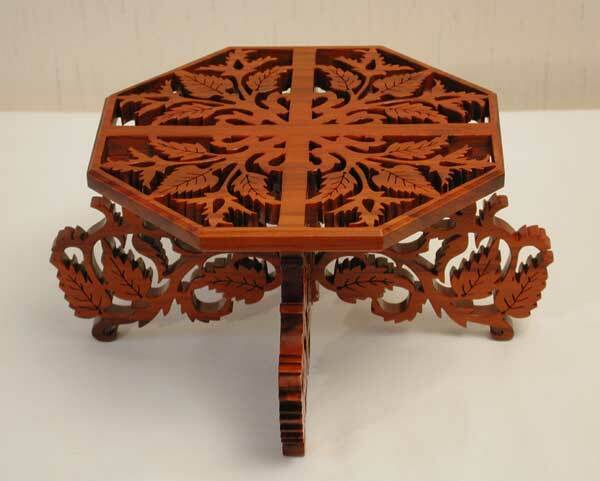 Decorative doile made from Red Oak. 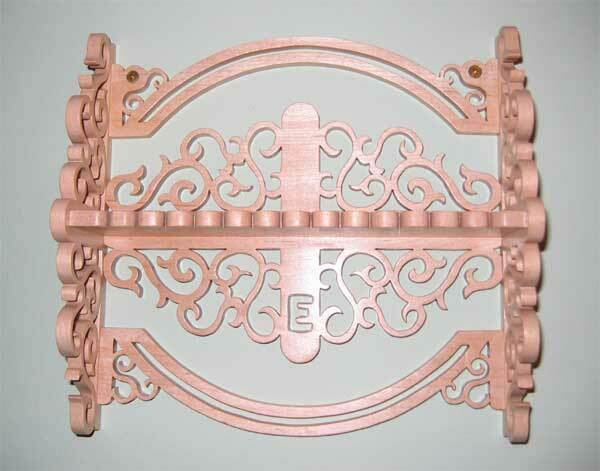 Raised trivet made from Redheart. 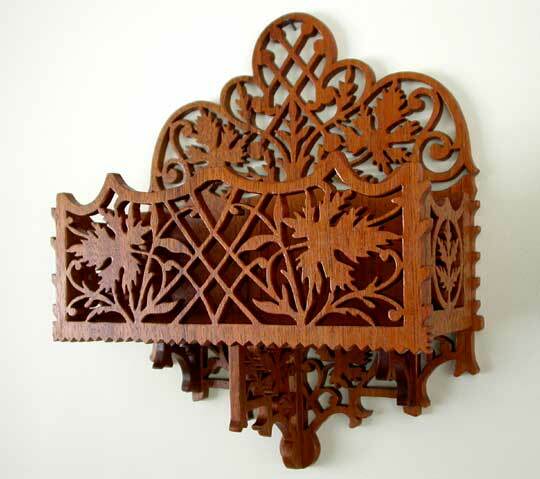 Wall pocket made from Mahogany. 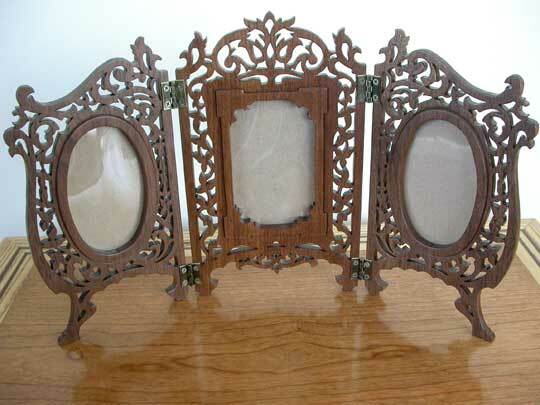 Triple picture frame made from Walnut with a Mahogany overlay. Plant holder made from Walnut. 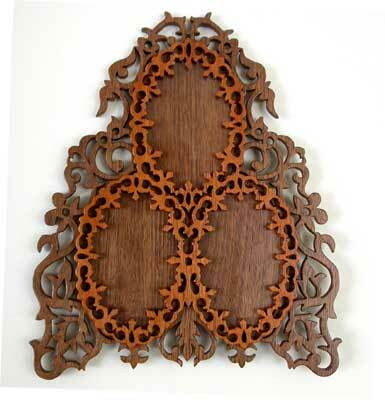 Triple picture frame made from Walnut. Welcome sign made from Cherry. 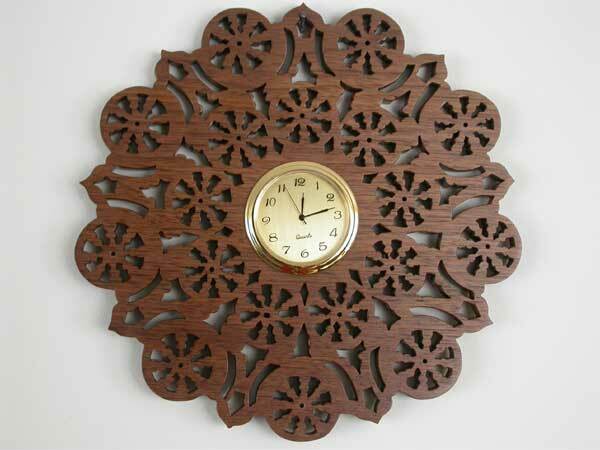 Walnut clock made from a modified paper doily pattern. 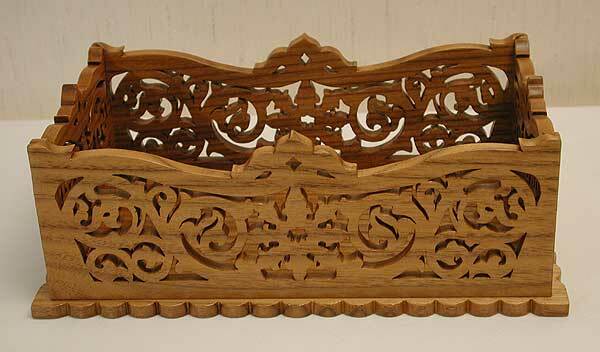 Fretwork shelf made from Maple.